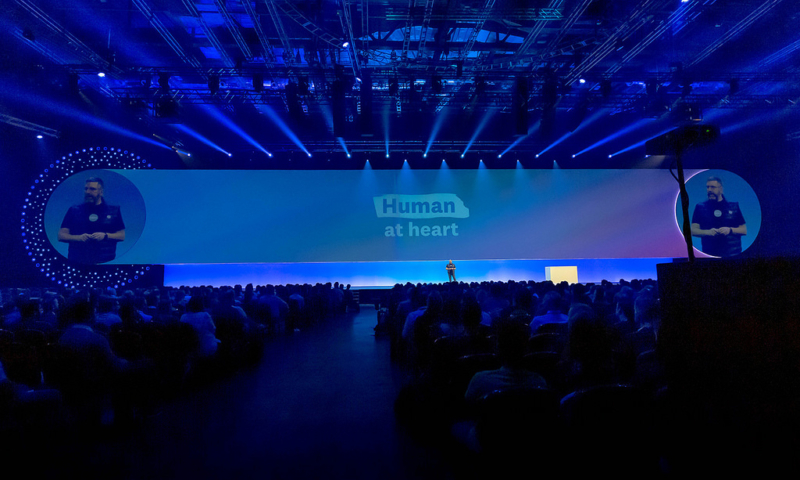 This yearâ€™s Xerocon London was attended by over 3,000 accountants and bookkeepers â€“ united by their universal love of caffeine! Baristas from one of Xeroâ€™s customers, Grind & Co., whipped up some 10,000 cups of coffee over the two day event. There was also plenty to see and do, many people to meet and inspirational talks to listen to. Motivational speakers like Olympic gold medallist, Sir Chris Hoy; Royal Marine commando, Ben McCLean and former BBC HR Director, Lucy Adams stirred audiences with their inspiring true-life tales. And of course, accountants and bookkeepers were the undisputed heroes of the entire event, with South African firms, BVSA Chartered Accountants and Core Cloud Accounting both crowned winners in Xeroconâ€™s award ceremony. Check out why they won here. At Xero, we know that the right business partner can make all the difference between real success and doing ok. Thatâ€™s why we are very excited about our integration with Absa. Together, we aim to provide small businesses with next generation financial management. Itâ€™s simple; Absaâ€™s banking customers who use Xero will be able to upload and access their financial information faster than ever before. Bank statements, for example, will be automatically imported and categorised, eliminating the need for manual oversight and thereby saving small business owners a lot of time. Xeroâ€™s new, full-featured API for bank feeds, announced at Xerocon, makes it easy for small businesses and their advisors to receive the financial information they need anytime, anywhere. Customers can reconcile accounts, create smart, shareable reports and online invoices, and review their cashflow in real-time while on the go. This means that users are always working with completely accurate data. We are now living in a world in which businesses with vital data from the financial sources they use daily in one platform. With financial institutions of all sizes across the world able to securely integrate with Xero, less time is spent chasing information or fixing errors, and more time is spent helping clients grow. What Molahadi and Jacobson reinforce is that technology, and the information that it provides is crucial to business growth. The right technology can automate mundane administrative tasks and free up valuable time. Invoices, for example, are now chased via intelligent software and reconciliation can happen at the click of a button. This gives business owners and their accountants more opportunity to focus on business strategy and advisory services. Research from Accenture suggests that AI can double the growth rate of the South African economy and accelerate rates of profitability by an average of 38% by 2035. Itâ€™s crucial that accountants and small businesses in South Africa get to grips with AI and learn how to work alongside it to better manage their finances and so much more growth. And for those who have already adopted new technologies, they need to ensure they donâ€™t lift their foot off the pedal, by keeping up-to-date with the latest training and developments to ensure that they stay relevant. At Xero, weâ€™re on a mission to develop new tech and create new partnerships that improve the accounting experience for small businesses and accountants around the world. South African accountants and small businesses have better access to smart financial tools than ever before â€“ and we look forward to seeing and hearing more of their big wins at Xerocon 2019. The post Xerocon 2018: the key takeaways for South Africaâ€™s small businesses appeared first on Xero Blog.